iA Writer (US$17.99 for MAC, US$4.99 for iPad) is an awesome writing tool, no fancy stuff, no formatting to deal with, no clustered UI or what the developers states, no preferences; just plain full screen tying or enter the focus mode. The focus mode, according to the developers, does not only limit the field of view to one sentence at a time but it also makes sure that the eyes do not need to wander too much around the window while writing. The focus mode allows one to think, spell and write at one sentence at a time and that lowers the temptation for one to cross edit and keeps all in the flow. The only bummer is that there’s no trial for it. How good is it? judge it yourself from the video. [Update: 20 June 2011] The Firmware is OUT finally, check it out from your respective country’s Sony Site. I linked the manual here for your reference, same as previous. 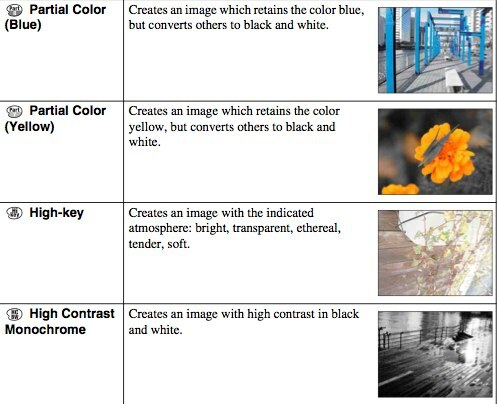 [15 May 2011] If you’re a Sony NEX Camera user, you probably knows the blog Sony Alpha NEX Cameras and E mount Lenses. Couple days ago they posted details of the new Sony NEX Firmware Version 04 details, link here. The new features, the picture effects and the manual focus assist are definitely gonna turn some heads, be it existing owners or others considering buying the NEX cameras. Peaking Level (High, Medium, Low, Off) – Enhances the outline of in-focus ranges with a specific color in manual focus. This function allows you to confirm the focus easily. 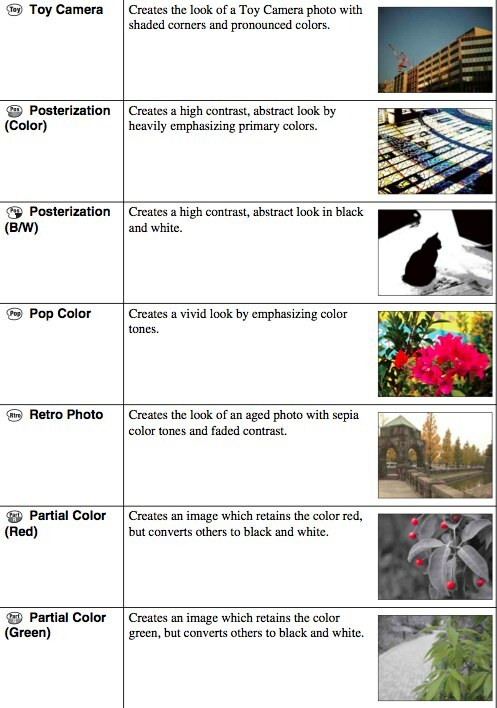 Peaking Color (White, Red, or Yellow) – Sets the color used for the peaking function in manual focus. So far, no news as to when the firmware is coming out but my guess is anytime now, stay tuned. Apple says the iPad is now changing the way we do just about everything, from watching a newspaper to looking at the stars, what’s your take? CNET Asia Community Blog Entry – 3D for New iPad 3? My new entry over at CNET Asia Community Blog is up. This week’s entry, “3D for New iPad 3?”. Click here for the full read. You probably heard enough about the iOS 5 and what the new features are, but according to Apple and the beta testers, there are in fact close to 200 new features. I came across a lot of good listings of the new features but nothing beats the listing on iPhonedownloadblog. Their list is the most comprehensive (and constantly updating) list of the iOS 5 features and for some of the features, they have a more in-depth look, just click on to the hyperlinks to see more. Be sure to check it out ahead of the release. Think everyone is all settled after the keynote and think it’s time to wrap things up for the three major areas and thanks to TUAW who compiled the housekeeping list. Lion will be available in July, and it only costs US$29.99 for all your devices. Lion will only be available through the Mac App Store. If you have a desktop Mac, now’s a good time to go get a Magic Trackpad to take good use of the new Mission Control feature. Saving and backing up files will be easier than ever. iCloud replaces MobileMe and is now FREE. iCloud wirelessly syncs data across all your devices. Photo Stream makes syncing recent photos manually a thing of the past, pics gets synced across different devices. iTunes Music purchases now appear everywhere via the iCloud sync. iMessage – iMessage is the Messages app crossed with an instant messaging client crossed with a group messaging app. Reminder – hmm…. need to find out more on this one. 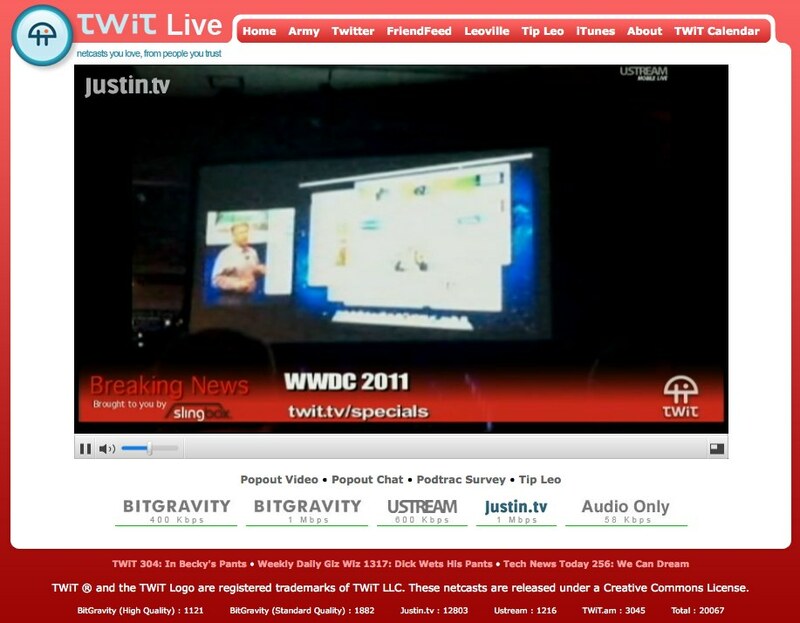 Watch it at http://www.ustream.tv/channel/omtwwdckeynote with live comments. Something fun to watch this long weekend holiday in Hong Kong ahead of Apple’s WWDC. Take a look at what the true iOS5 cannot do. 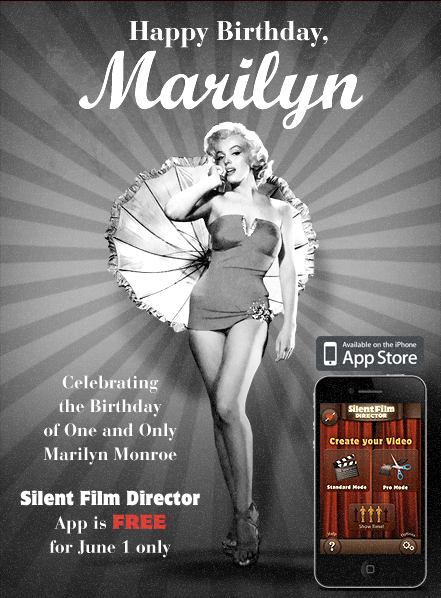 For those who love to shoot video on their iPhone, Silent Film Director gone free for the day to celebrate Marilyn’s birthday. Grab it fast as time’s running out, link here. In this all new video, Windows President Steven Sinofsky gave the first live demo of Windows 8 at the D9 conference in southern California.The new user interface resembled that of the Windows Phone 7. The tile design somehow becomes the trademark of Microsoft OS like the gestures with the Mac OS. What you think of the new OS?